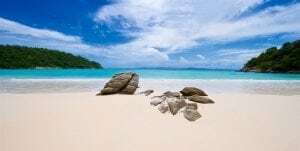 Discover the amazing dives near Phuket by speedboat. Phuket is one of the world’s most popular dive destinations. 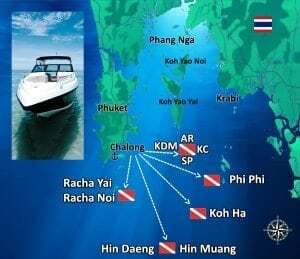 From Phuket we feature the best scuba diving speedboat charters and dive excursions to Phi Phi Islands, Shark Point, Anemone Reef, King Cruiser, Koh Doc Mai, Racha Islands, Koh Haa, Hin Daeng and Hin Muang. * The participants wishing to dive on the sites of King Cruiser “wreck dive”, Hin Daeng and Hin Muang will have to be holders of a dive certification confirming their experiences as PADI Advanced Open Water Diver, Diver CMAS stars or equivalent. For safety reasons all people in any diving activities should wait a minimum of 18 hours after recreational diving before flying (or going to altitude) in a plane in compliance with recognized recreational diving safety standards. We recommend waiting a minimum of 24 hours between your last dive and your flight departure (or going to altitude). Coral reefs are fragile ecosystems and very sensitive to water temperature change, pollution, tropical storms and most importantly human damage. This is why it’s of the upmost importance to take care when diving on a coral reef – the reef must not be touched and good buoyancy control is required to avoid kicking the fragile ecosystems. We privilege the dives at times when the others are not in an effort to better enjoy the great underwater world in a more exclusive atmosphere. 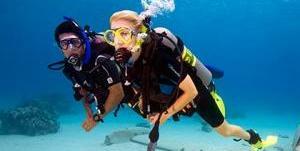 There are dive sites to match all levels of expertise. The diving excursions are suitable from 10 years old. 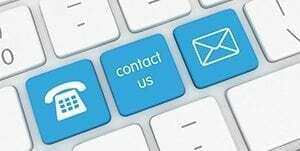 Check our PRICE LIST (THB). 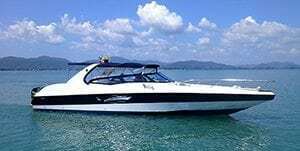 Why choose Searunner Speedboat Phuket?